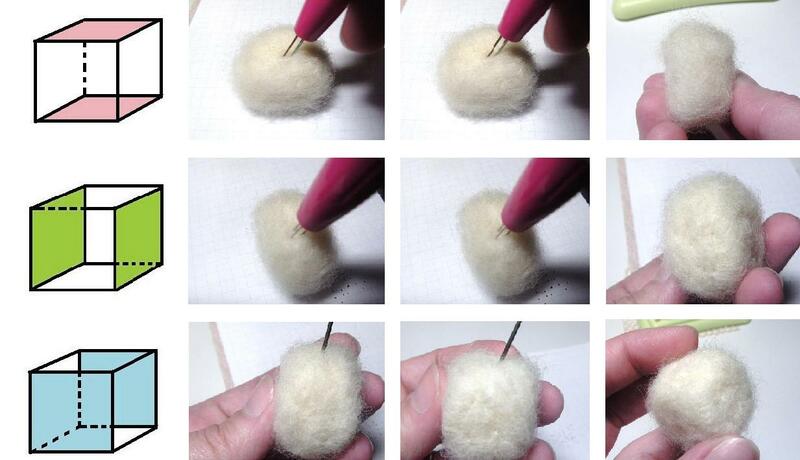 It’s all about the details when it comes to needle felting, well at least for me it is. 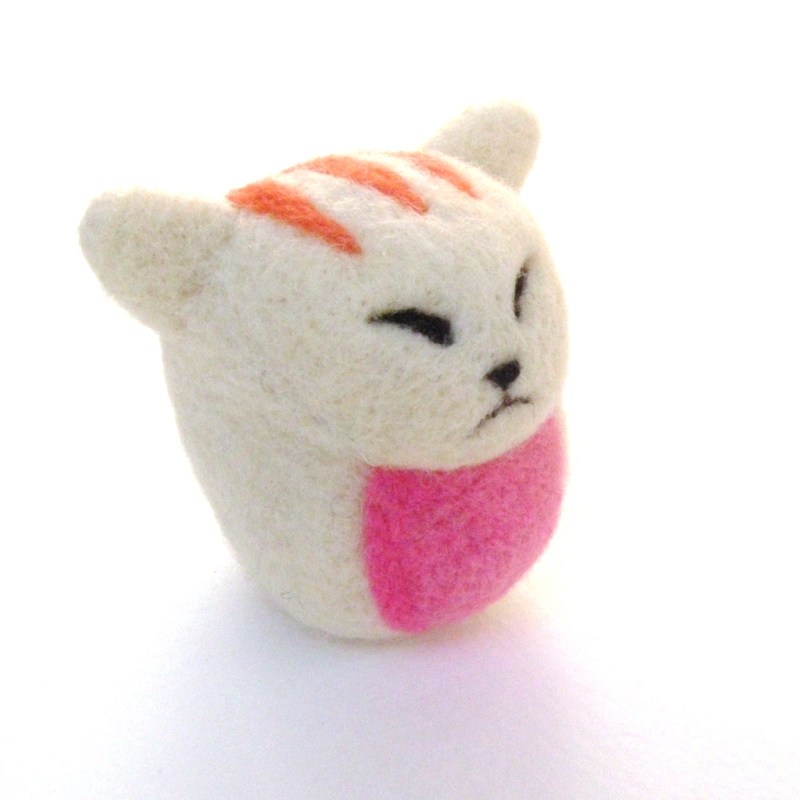 This past week I created an adorable felt cat. While sharing my creature of the week, I’m going to focus on the drastic changes a few details can make. 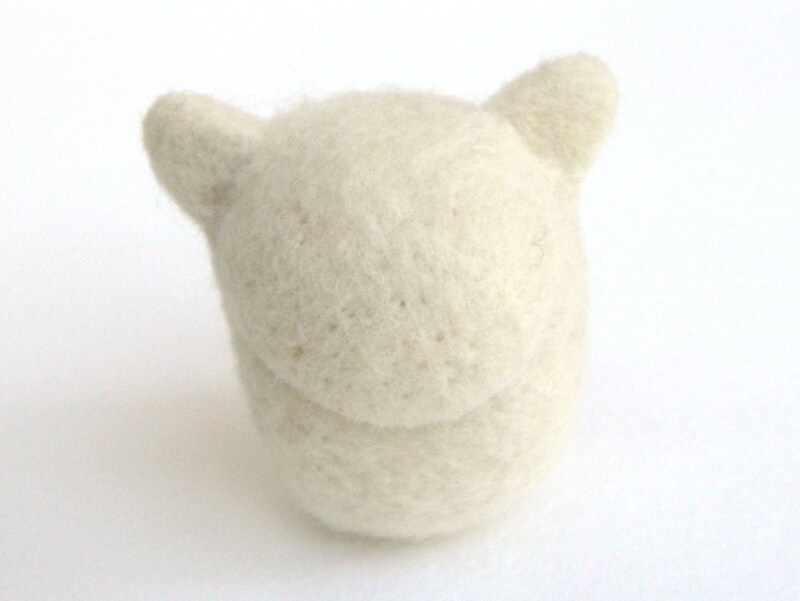 Let’s start with a clean, white wool, basic sculpture. 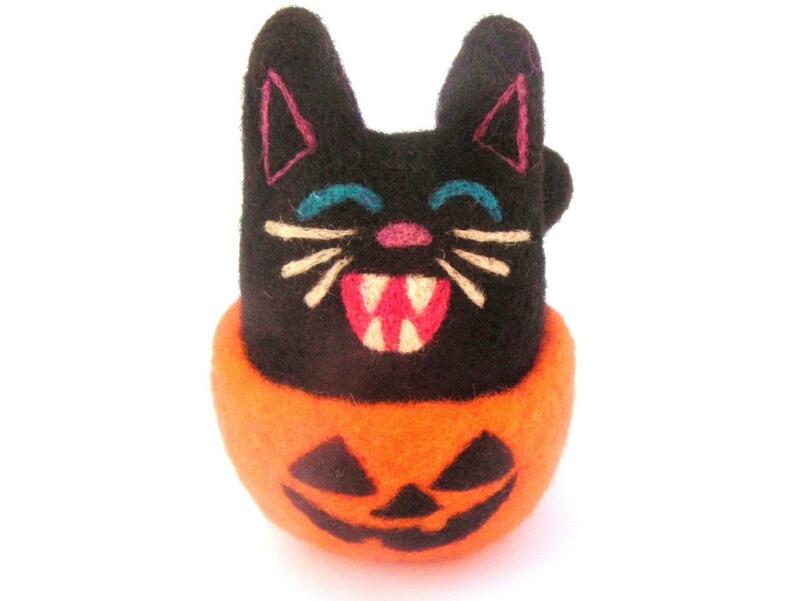 The only thing cat-like about this so far are those ears! 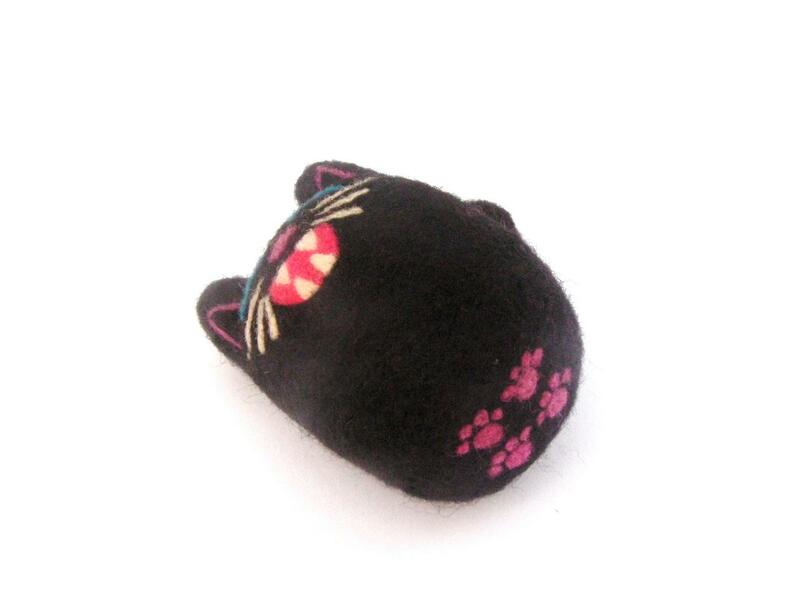 Next, I added a striped tail, a pink belly, and one pink cat paw. Alright the tail helps out a lot. This sculpture is definitely looking a little more cat-like now. The final detail work includes the last 3 paws, adding some stripes on the body, and finally adding a pouty cat face! Ahhhh, the cat is complete. The basic sculpture remained intact the whole time; the only changes were superficial details. As you can see the correct sculpture is definitely helpful, but details can really go a long way.